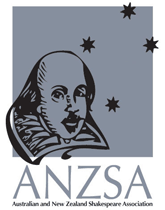 The Australian and New Zealand Shakespeare Association announces additional provisions to postgraduates participating in the ANZSA 2014 conference via a half day workshop and competitive postgraduate bursaries. The 12th Biennial International Conference of the Australian and New Zealand Shakespeare Association (ANZSA) will be held at The University of Southern Queensland from October 2-4, 2014. The conference theme will be “Shakespearean Perceptions.” Confirmed keynotes include Professor Peter Holbrook (University of Queensland), Emeritus Professor Helen Ostovich (McMaster), and Professor Garrett Sullivan (Pennsylvania).